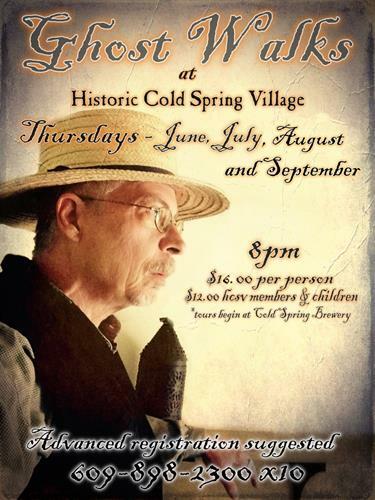 Ghost Walks at 8pm on Thursdays in June, July, August & September at Historic Cold Spring Village. Meet at Cold Spring Brewery for this over 45 minute walking tour. Please bring bug spray. No Bite Me Cream will be available for sale. Tickets available at either gate during operating hours or at Cold Spring Brewery thereafter.